This project is funded by the U.S. Agency for International Development (USAID). The U.S. Agency for International Development administers the U.S. foreign assistance program providing economic and humanitarian assistance in more than 80 countries worldwide. Description: The USAID Towards Inclusive Markets Everywhere (TIME) project unites three industry alliances (African Cashew Alliance (ACA), Global Shea Alliance (GSA), and Borderless Alliance (BA)). The TIME project aims to establish strong links between African cashew and shea farmers and international markets by promoting good farming practices and establishing strong buying relationships. 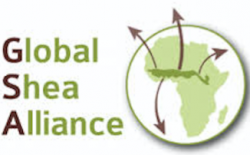 These objectives are supported through collaborative efforts among the three Alliances, including advocacy to harmonize regional trade policies, farmer trainings in good agricultural practices, harvest and post-harvest techniques, and business skills, and the creation of partnerships and connections between farmer groups and other stakeholders in both the cashew and shea supply chains. Key Outcomes: 2,000 jobs created in cashew and shea industries; cashew-driven revenue increased by $80 USD/year; shea-driven revenue increased by $100 USD/year; 500,000 MT of cashew and 300,000 MT of shea export facilitated; 12,000 cashew farmers linked to 3 cashew processors; 12,000 shea-collecting women linked to 10 buyers. Ultimately, this project will support crucial livelihoods for rural communities and empower African women to be competitive in the international market. This page is made possible by the generous support of the American people through the United States Agency for International Development (USAID). The contents are the responsibility of the African Cashew Alliance and do not necessarily reflect the views of USAID or the United States Government.